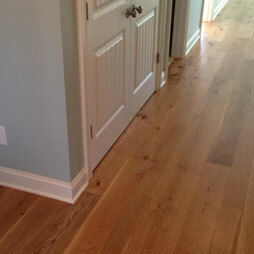 Green Step Flooring, Inc. offers wide selection of wide plank hardwood flooring for any application. All wood species we offer can be ordered 3/4 thick solid or 5/8 engineered for installations over concrete and other substrates with elevated or unstable moisture content. 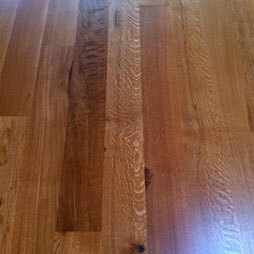 Our engineered hardwood flooring planks have 9-ply core and 4mm wear layer that can be sanded up to 5 times. 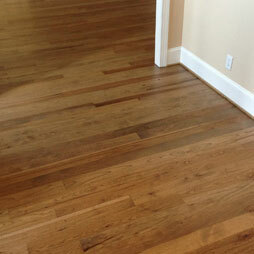 We offer all wood cuts available: flat (plain) sawn, live sawn, rift and quartered sawn hardwood floors. Character Grade White Oak Wood Flooring features a more rustic appearance, showcasing color variation, knot holes and darker grain patterns. Combination of plain sawn, live sawn and some rift and quartered pieces will create the most unique, natural wood look. Can be fumed, smoked, stained and finished with countless options to create the dream floor for your home. 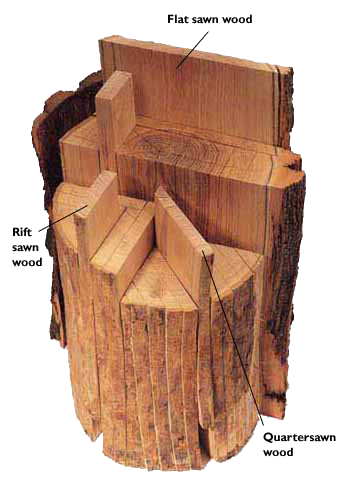 All quartersawn boards have growth rings on the face of the board as straight grain, showing none of the “cathedral grain” traits of plain sawing. Available in select or character grade. The wood can be also ordered rift sawn only, with only 20% ray fleck. 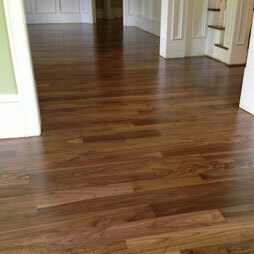 Walnut hardwood flooring is one of the most attractive woods available. Wood planks are particularly striking due to their character patterns and heartwood content. Walnut is a dark bodied wood with rich, chocolate hues, auburn undertones, and complex grain patterns. Can be stained and finished with different techniques.